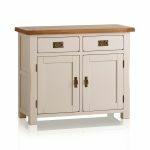 A pleasing smaller sideboard with two good-sized drawers and two shelved cupboards, and with the Kemble features – antique brass coloured handles and fresh, putty finish on the hardwood construction. 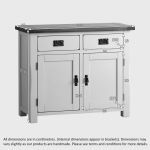 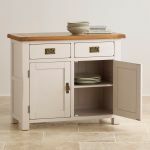 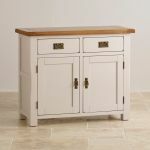 Made with solid oak tops with a 100% solid hardwood painted base in a pleasing putty colour with lavender undertones, there is generous storage in this sideboard which makes it the perfect cabinet for the smaller home or room. 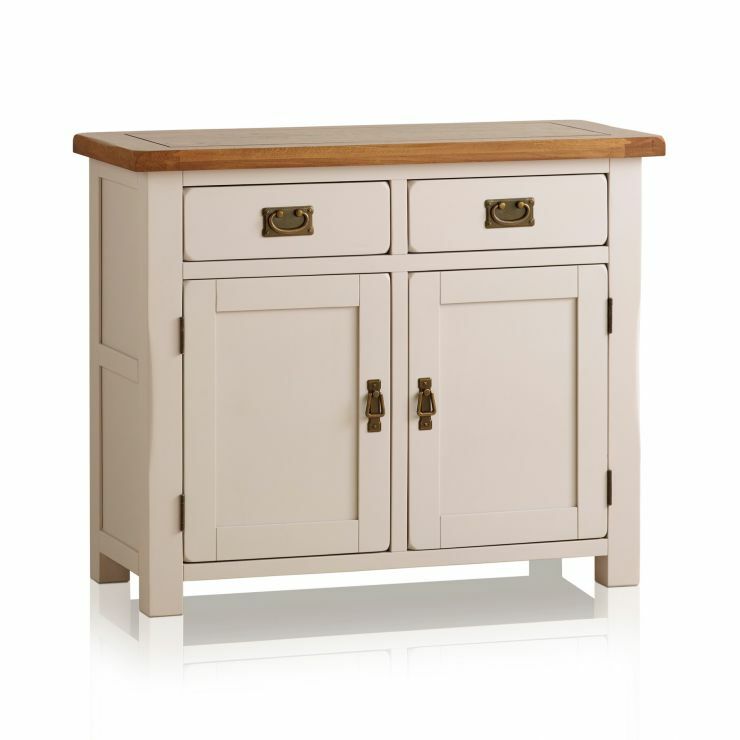 With many other pieces in the Kemble range, you can furnish your home with the same stylish flair.